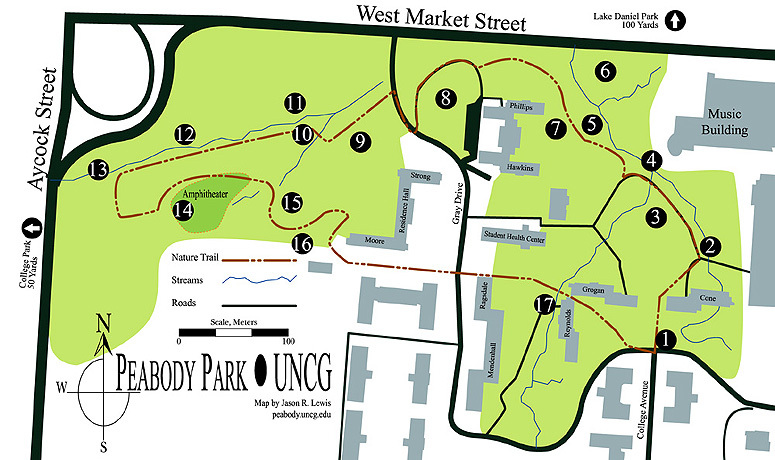 THE NUMBERS on this map of Peabody Park correspond to the numbers on the accompanying Peabody Park trail guide. Follow the trail and take a self-guided tour of the Park. For more details about Peabody Park’s flora, fauna, and seasons please visit the main Peabody Park website.